This picture is of Kāne and Kanaloa, Kāne is using his oʻo to locate water and Kanaloa is drinking water or ʻawa. *This picture is from the Board of Water Supply. Kalo is very important to the Hawaiian people because it is our ancestor. We know this from the story of Papa and Wākea. Papa is our earthmother and Wākea is our skyfather. They are also the parents of Ho‘ohōkūkalani, a daughter. When Ho‘ohōkūkalani grows older, she has a baby, but the baby is born prematurely. She names the baby Hāloa-naka and buries the baby in the ground. From this burial site grows the first kalo. 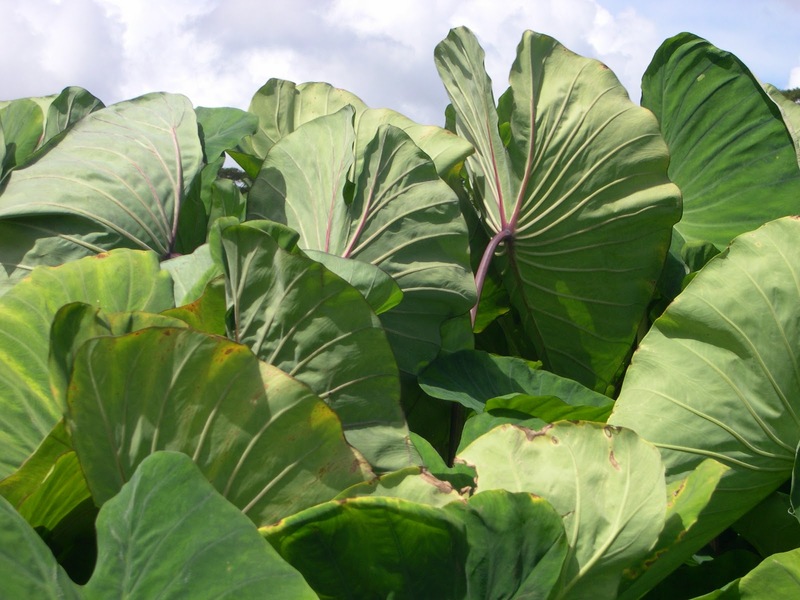 Kalo becomes the main food that keeps the Hawaiian people healthy. Later, Ho‘ohōkūkalani has another baby, a healthy boy, and they name him Hāloa in honor of his elder sibling. Hāloa is the first high chief of Hawai‘i and is the common ancestor of all the Hawaiian people. From this story we learn the kalo and the earth are our ancestors and that they take care of us by providing food to keep us healthy. We also learn that our job as their mo‘opuna is to take care of the land and all the resources needed to care for kalo so that they can continue to nourish us. 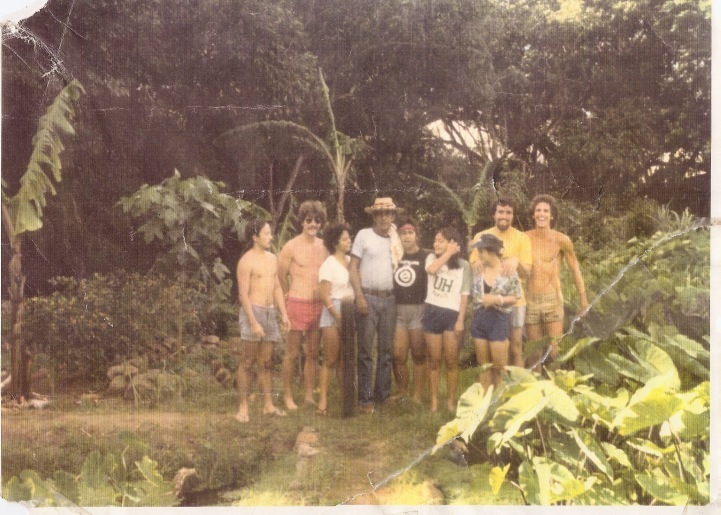 Hoʻokahewai Hoʻoulu ʻĀina: In 1980, several students from UH re-discover the abandoned ‘auwai and begin growing kalo and other dry land indigenous and native species and plants. With the “Hawaiian renaissance” movement taking shape throughout Hawaiʻi, the project Hoʻokahe Wai Ho‘oulu ‘Āina based on the philosophy, “make the water flow, make the land productive,” was initiated through the Hawaiian language club Hui Aloha ‘Āina Tuahine. The vision for the revitalization of this site, as outlined by the students, became even more evident once the physical project took shape. With the guidance of kupuna such as Harry Künihi Mitchell, the traditional ‘auwai leading from the Mānoa Stream and lo‘i (taro patches) were restored and dry planting areas and a hālau (thatched pavilion) were constructed. Members of Ho‘okahewai Ho‘oulu ‘Āina were the founding members of Ka Papa Lo‘i ‘O Kānewai. Since itʻs humble beginnings, Kanewai has hosted over 100,000 people in the last 30 years.